A recent family wedding took me to Dulwich Village, a small area of South London that (as its name suggests) is more like a countryside village than a city neighbourhood. 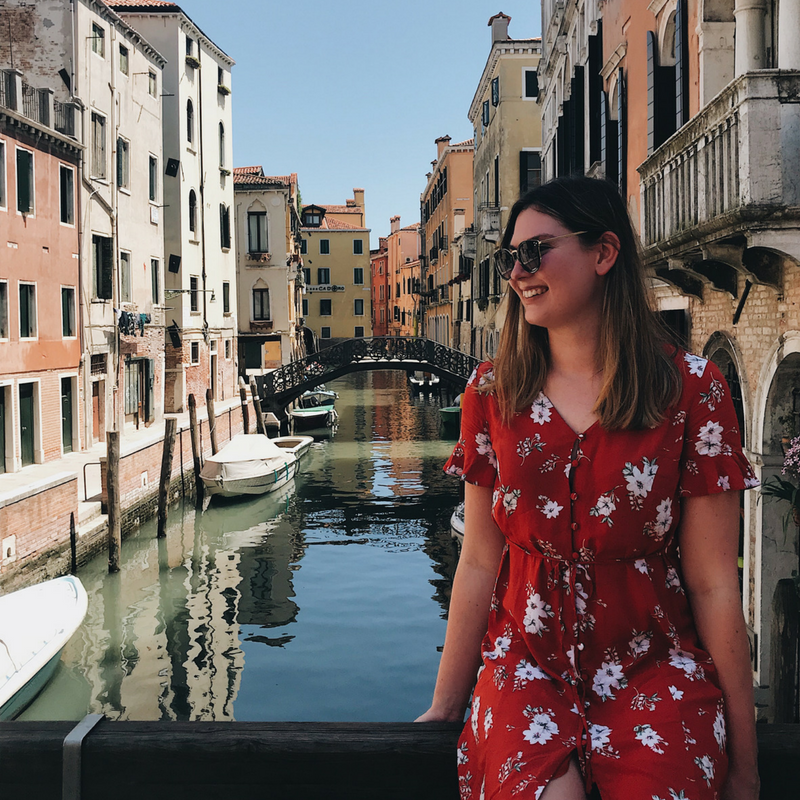 Two stops on the tube from London Blackfriars, it’s an underrated area of London that you simply don’t want to miss! Dulwich Village is part of a larger area of London that consists of West Dulwich, East Dulwich and Herne Hill. Out of the four, Dulwich Village is the only neighbourhood that doesn’t have a tube station. However, the other areas stations are all within walking distance. Therefore, there are many different ways to get to Dulwich village! I recommend checking the Transport for London Tube Map to plot the best route! On my visit, I got the tube to Herne Hill and then walked through the picturesque Brockwell Park to Dulwich Village. Just outside the station, I found a fabulous food market, which occurs every Sunday. It’s worth visiting in its own right and made for a fantastic introduction to the area. 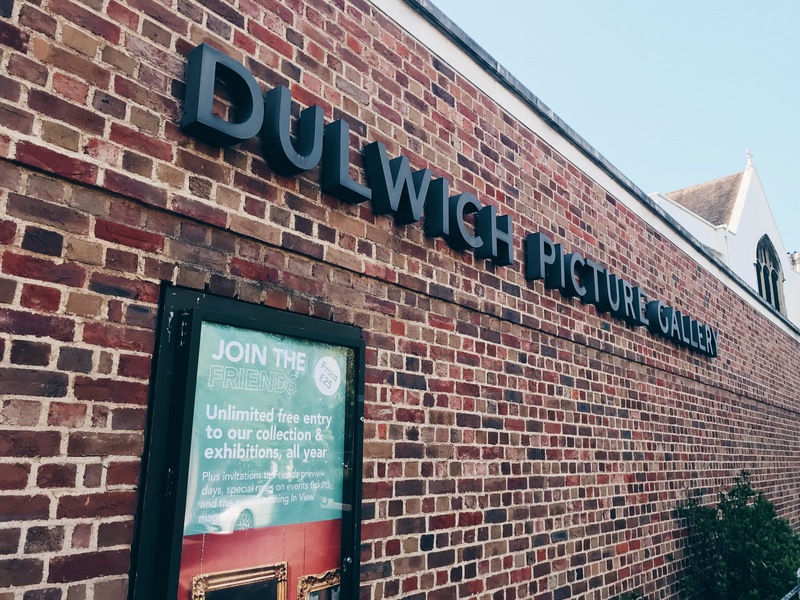 The Dulwich Picture Gallery is thought to be one of the best galleries in London. First opening its doors in 1814, it’s actually the first purpose-built gallery in Britain. Although I didn’t have time to visit myself, the gallery is said to have a fine collection that brings in art lovers from far and wide. 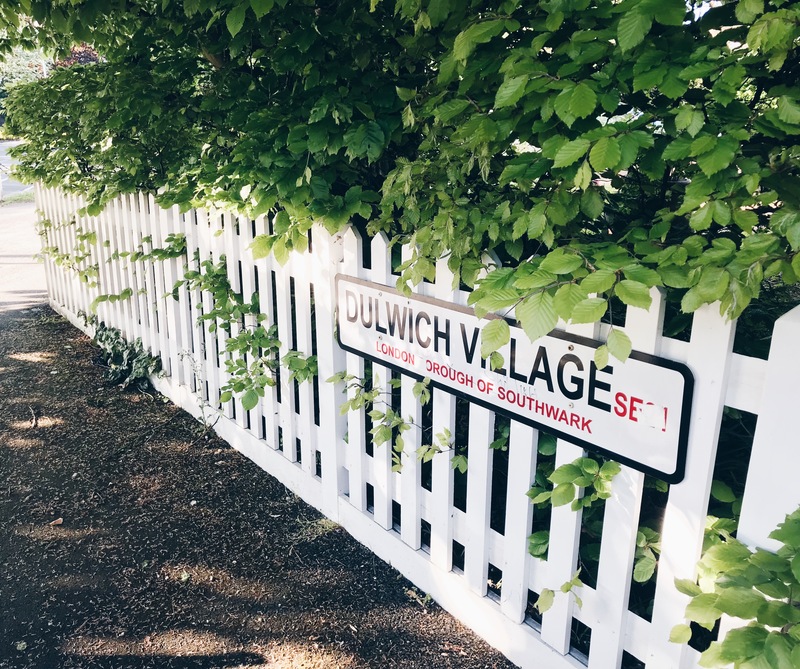 I spent the majority of my time in Dulwich Village wandering through its beautiful streets. Along its main road, sweet-smelling bakeries and flowershops enticed my senses. I also found that there are plenty of boutiques and independent stores to browse in. However, my favourite spots in Dulwich Village were the leafy backstreets. 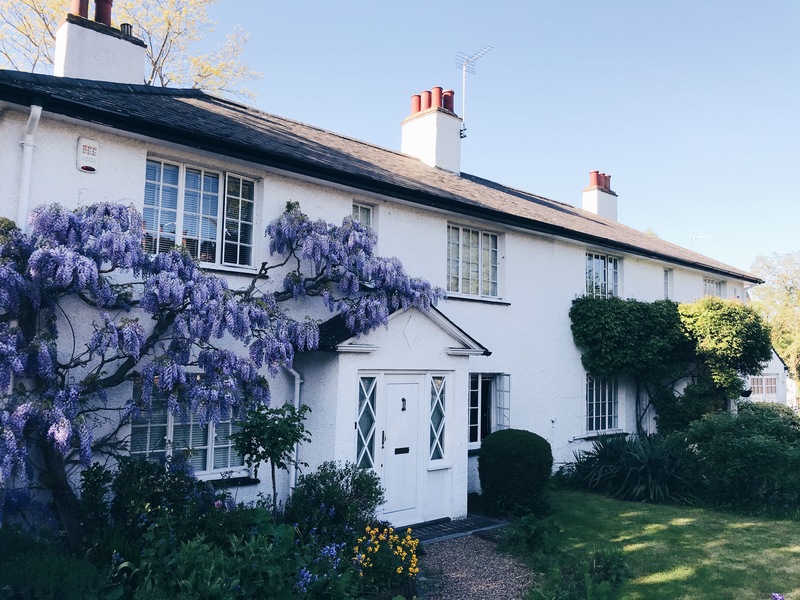 Line with Chestnut trees and white picket fences, I found myself staring at picturesque cottages wondering how part of central London could possibly be so Idyllic. 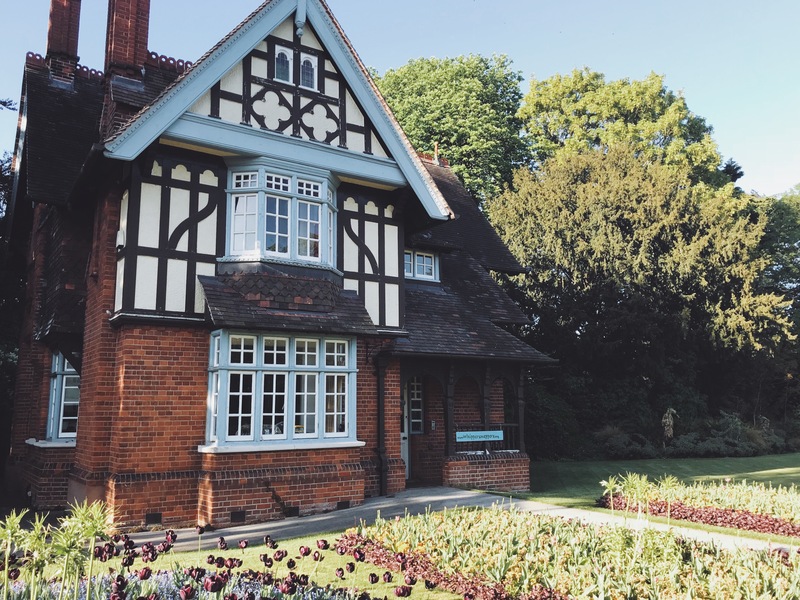 For an even more rural escape, you can head to Dulwich Park. 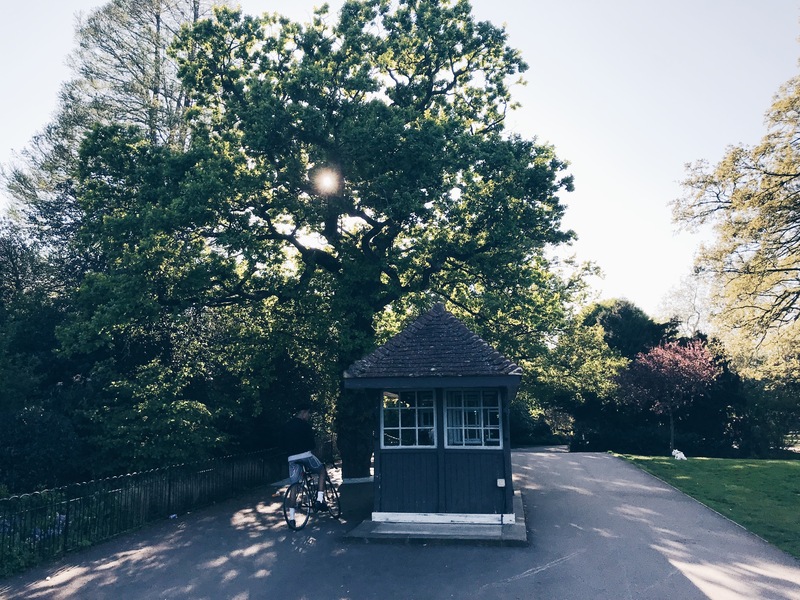 Characterised by hidden paths, mill ponds and horse riding trails, Dulwich Park is the perfect place to spend a little time away from city life. I simply spent the rest of my afternoon sat under an ancient oak tree people watching… A fine afternoon indeed. 1) Rocca: Located on Dulwich Village high street, Rocca is surely one of the best restaurants in Dulwich. Not only is it in a fantastic location, it also serves some of the nicest Italian food around! 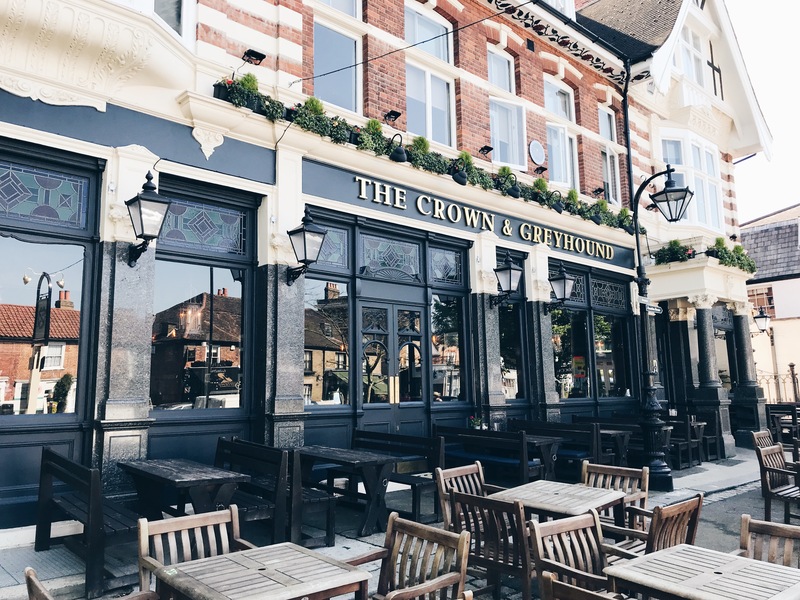 2) The Crown and Greyhound: if you’re looking for a more quintessentially British food experience then the Crown and Greyhound is the place to go! 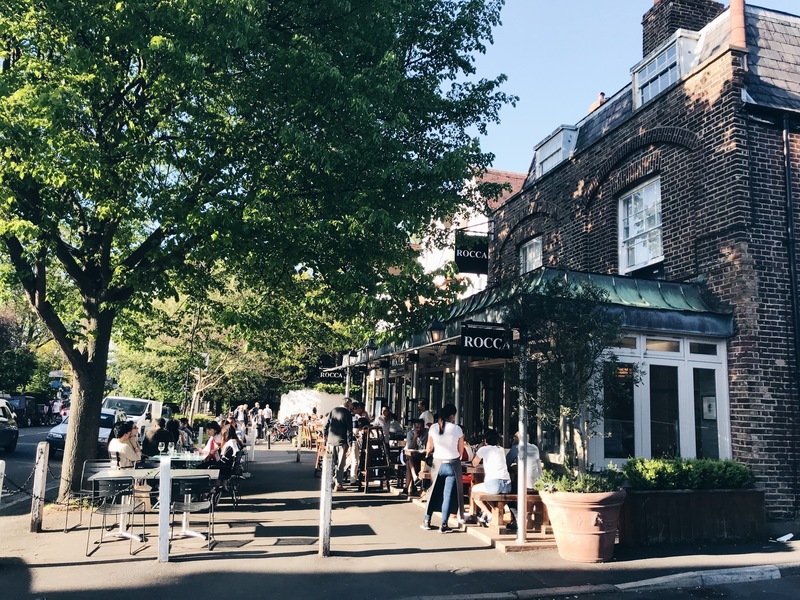 Located steps away from Rocca, this Dulwich Village Pub is one of the few remaining grand Victorian pubs in the country – it also sells pretty decent burgers. The Crown and Greyhound (mentioned above) is also a hotel. 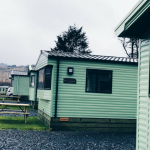 It is where my family and I stayed and I would definitely recommend it! My room was spacious, clean and opened onto a gorgeous courtyard, which was much appreciated as we stayed on a surprisingly warm evening. 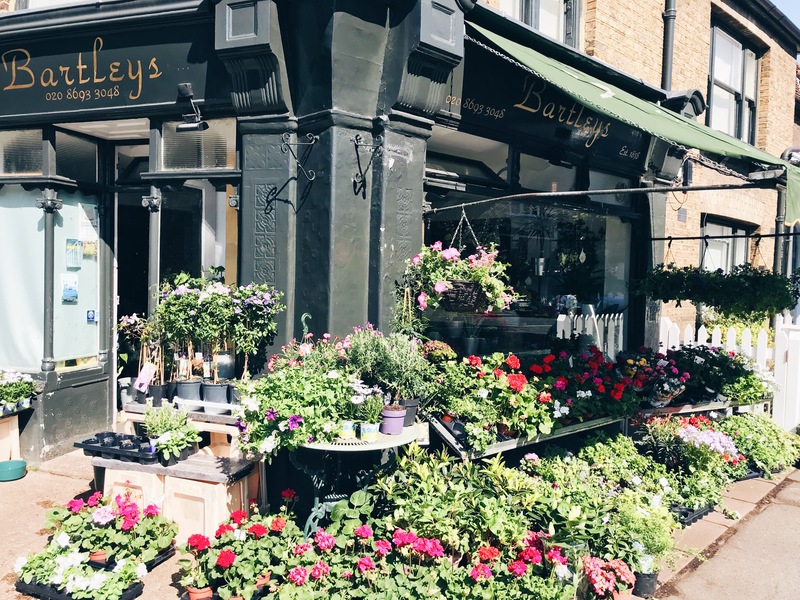 If you liked my ‘Guide to Dulwich Village, London’ and want to keep up to date with new posts, then subscribe to Earth’s Magical Places below! There are so many hidden gems in London that I’ve read about, and his seems like another. I need to make a trip! Beautiful pictures! This is something that I would love to explore. I love the architecture and imagining the scent of the flowers and bakeries…. 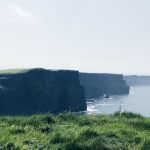 sounds like an amazing walk! You’re right, the flowers were amazing! 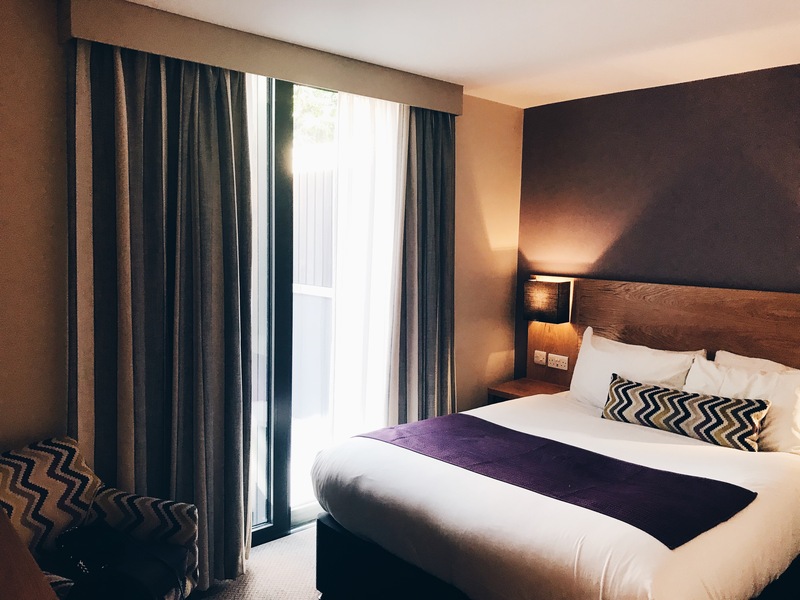 I have a few reasons to visit London – my cousins are in boarding school there, and three of my very close friends are living and studying there. In March, I didn’t have the opportunity to explore much beyond where they live (and Piccadilly/downtown) and Dulwhich Village looks more like my cup of tea! I’ll have to check it out the next time I return, hopefully within the year! Dulwich looks like such a beautiful area! I haven’t spent much time exploring the neighborhoods around London, so will have to check it out next time I’m in town. I love finding spots with hidden trails, etc! What a magical place! I’ve never heard of Dulwich before, but if I were to imagine what a neighborhood in England/London would look like, this would be it. Definitely won’t plan on investing in real estate here. Expensive!! Actually just read another thing about parts of South London, and I’m surprised just how man neighborhood and things to do outside of the more popular London attractions. I’d love to go back and check out some of these other areas. Ah! I love Dulwich but haven’t explored it nearly enough. Your post perfectly compliments my latest on South London and can’t wait to get to see more of this pretty area. I can’t wait to head back and explore it more too! I’m not at all surprised by the price point of those houses, Dulwich Village is so picturesque! I would have been sold the moment I steppedoff the train into that food market.